This weathered deck got a transformation into a beautiful and inviting living space again with some advanced preparation, repair work and an application of good quality deck stain to block the sun’s harmful rays and to protect the wood. Completing this deck with a professional finish. 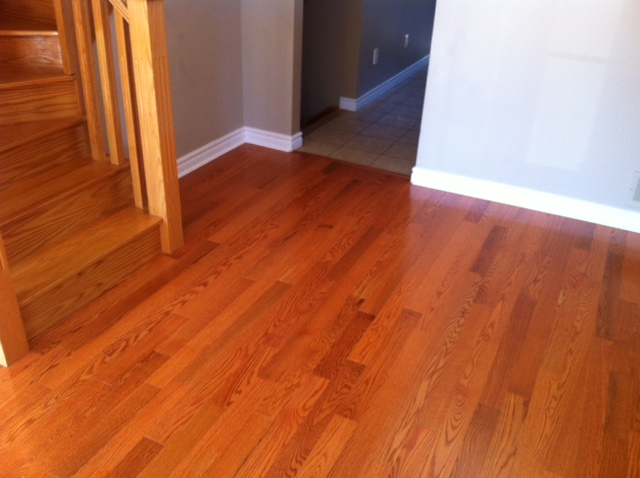 For this project we used a solid stain to hide any mismatching boards and any imperfections. Cleaning and staining a weathered deck extends its life. 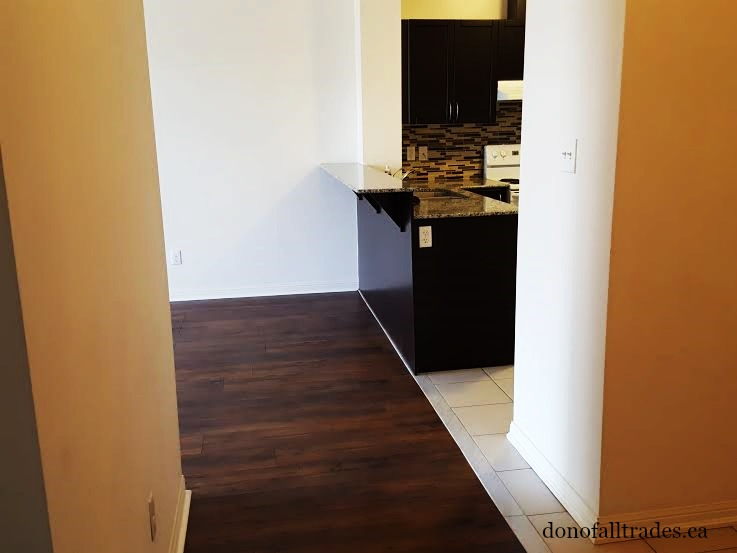 Our team at Don Of All Trades Professional Home Maintenance Services started off this project by removing all furniture, plants and grills. The deck was swept clean and surrounding plants and shrubs located around the perimeter were covered with plastic. An inspection of the condition of the deck was done looking for any loose, split, popping nails and rotting boards to be replaced. For areas with splintering, 80 grit sandpaper would be used to sand any rough areas of the wood. 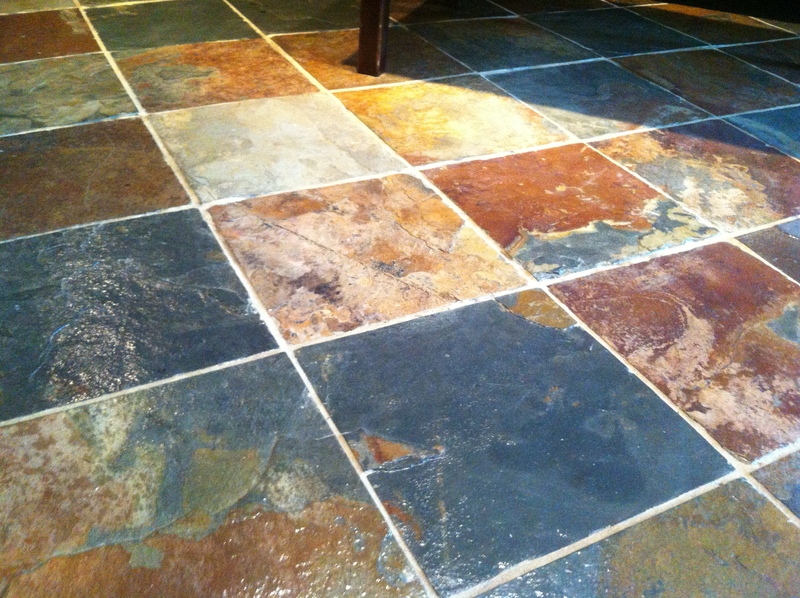 A power washer was used to help remove any loose flaking stain, dirt and debris. We visited our local Whitby Shores Benjamin Moore Store and purchased the Benjamin Moore REMOVE (315) wood cleaner and followed the manufacturer’s instructions for the correct cleaner to water ratio. REMOVE was sprayed onto the entire deck. The deck was scrubbed with a long-handled scrub brush to loosen the dirt, grime debris mold and mildew. We then rinsed off the deck. The second phase of preparing this deck was applying another product called Benjamin Moore Restore. This product helps to restore old weathered wood. It’s a bleach flee formula and is gentle to wood and the environment. Restore also helps bring back the natural grain in the wood and helps the wood accept the new stain. Restore was sprayed onto the entire deck. The deck was scrubbed with a long-handled scrub brush to loosen the dirt, grime debris mold and mildew. We then rinsed off the deck. We allowed some time for the deck to dry out before the staining process. Be prepared to spend most of your day completing this process depending on the size of your deck. This deck was approximately 350 square feet and this project took approximately 9 hours to complete. 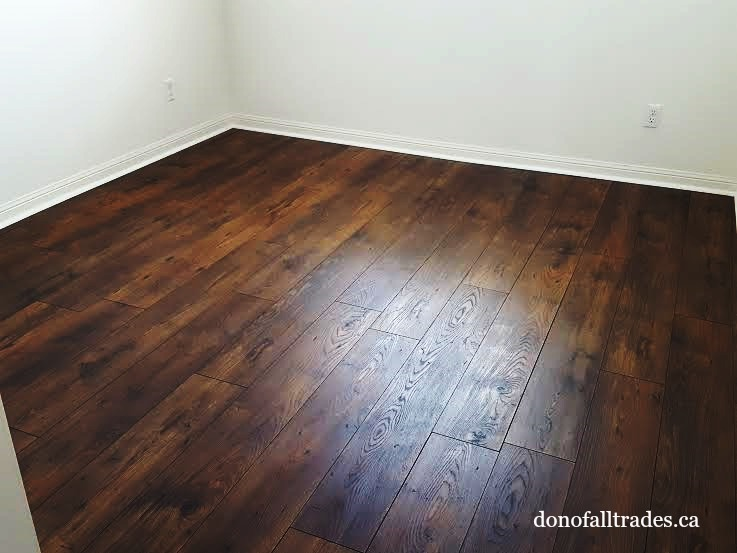 Visit our website at http://www.donofalltrades.ca to find out more information about or services or to book a complimentary in-home estimate today! If you have near by plants and shrubs around your deck, Don Of All Trades Professional Home Maintenance Services recommends to cover them with plastic in order to protect them from any splattering or dripping stain. Once the staining is completed, remove the plastic from the plants and shrubs. Our client’s choice of stain to be applied on this deck was the Benjamin Moore Arborcoat Exterior Stain Brand Natural Cedar Tone Solid Stain. Solid stain was used for this rather than the semi-solid due to the fact that this deck had been stained 3 times in the past with a solid stain. 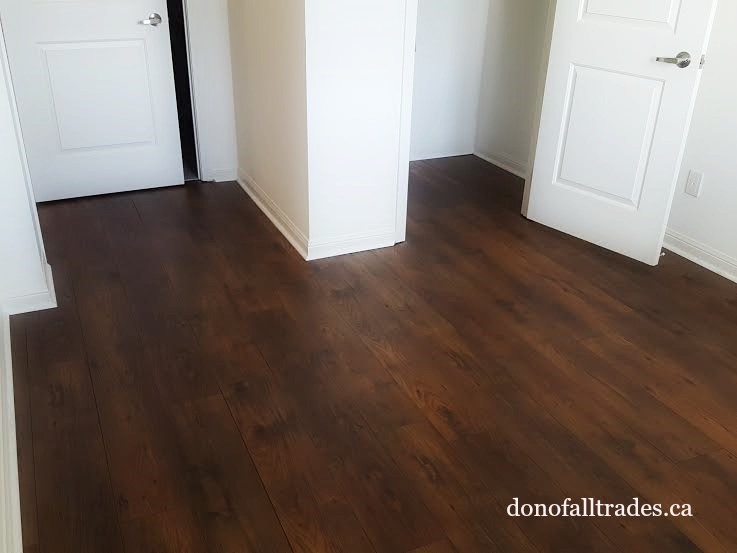 2 Gallons were used to complete this 1 coat project. 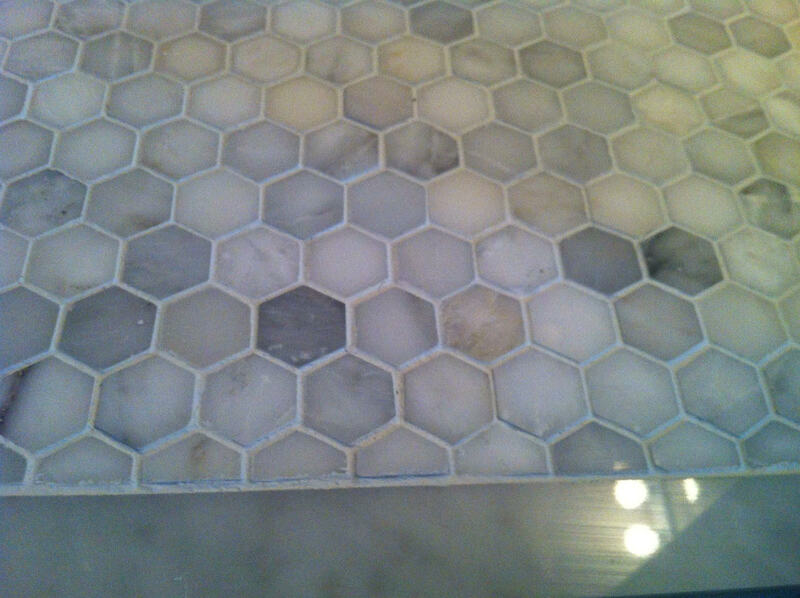 Recommended curing time: Let the stain cure for at-least 1 week but light traffic only after 2 days. 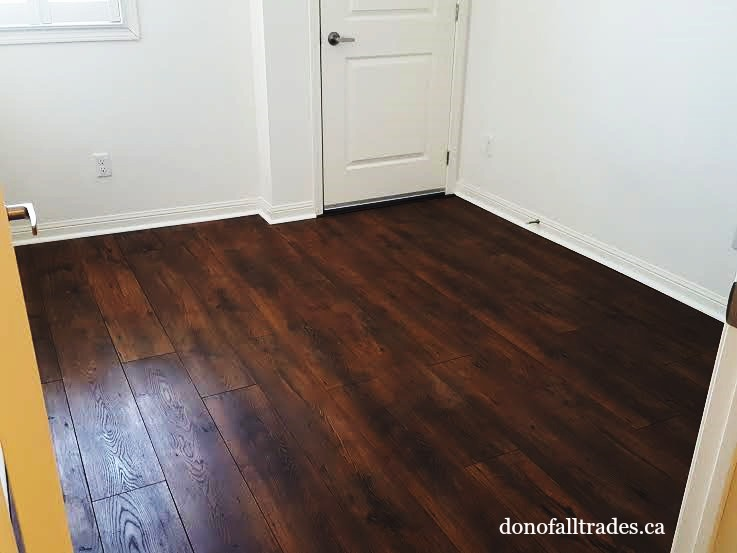 Our experience applying the Arborcoat Exterior Waterborne Exterior Stain was that this product had a much better finish on the floor planks, the tack up time was nice with a quick flash drying time and laid down very nicely. The end results were fantastic and our clients was extremely pleased at the results. 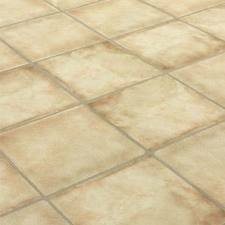 So what is the difference between Semi-Transparent, Semi-Solids and Solid Stains? Semi-Transparent— Lightly pigmented, these stains impart more color the surface than wood toner stains, while still letting the wood grain to be seen. Semi-Solids—Semi-solid/semi-opaque finish masks most of the wood grain, but allows some of the wood texture to be seen. Solids— Choose these stains if you want a rich, vibrant opaque finish that completely hides the wood grain while allowing very little of the wood texture to show through. Deck cleaner solution and deck restore products are very corrosive and be mindful of any splashes against your home as it may cause damage including to any surrounding plants. Would recommend doing this project in the early spring, before the plants come up. 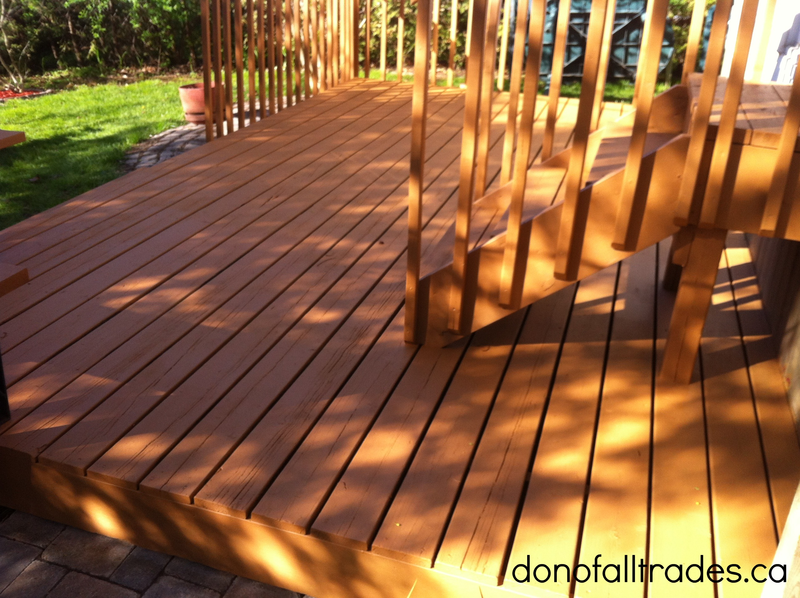 Avoid staining the deck in direct sunlight. The stain will dry too quickly and the decking boards will not have time to absorb the stain. Use a long-handled scrub brush to help scrub the deck with solution. Pay close attention to the weather for the week. Wear safety glasses, rubber gloves, close-toed shoes and protective clothing. Stir the stain thoroughly. Avoid shaking the container because bubbles will develop and it will be hard to get a smooth finish. Pour the stain into a paint tray. Question about your deck project? Get in touch with us! We have new 2016 Helping Hands additions for the month of April to go on our second Tree of Hope! Please visit donofalltrades.ca Community Page to find more information on how you can give the gift of hope. 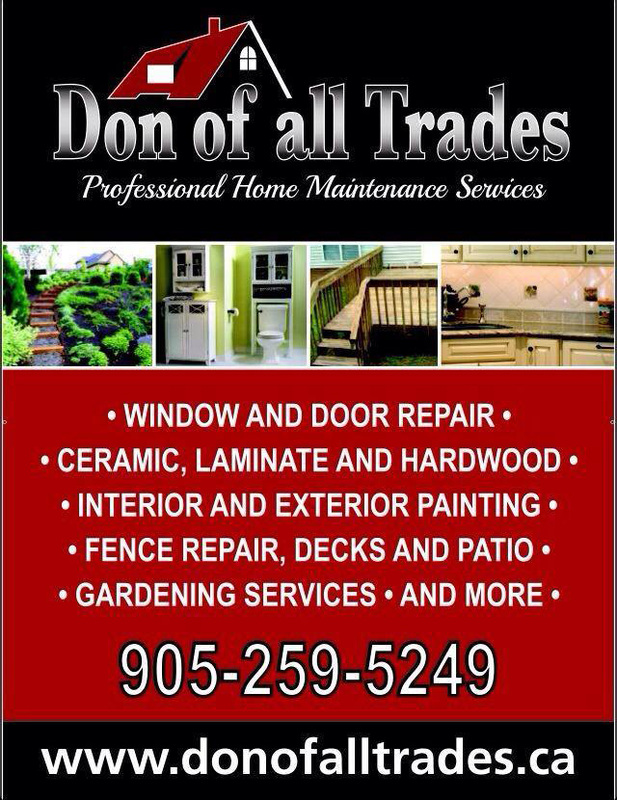 Just wanted to take this opportunity to wish every mom out there a Happy Mother’s Day from our team here at Don of All Trades Professional Home Maintenance Services. We hope you enjoy your wonderful day!